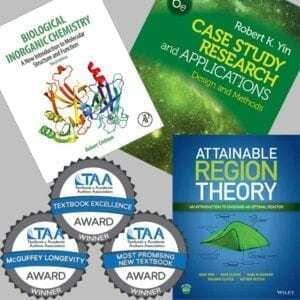 Gain recognition with your fellow authors and within the textbook publishing industry by nominating your textbook for a 2016 TAA Textbook Award now through December 1, 2015. The Textbook Excellence Award recognizes excellence in current textbooks and learning materials. 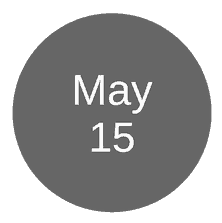 The McGuffey Longevity Award recognizes textbooks and learning materials whose excellence has been demonstrated over time. The Most Promising New Textbook Award recognizes excellence in 1st edition textbooks and learning materials. 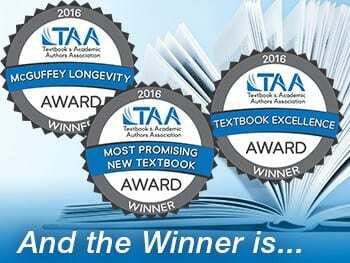 Gain recognition with your fellow authors and within the textbook publishing industry by nominating your textbook for a 2016 TAA Textbook Award. 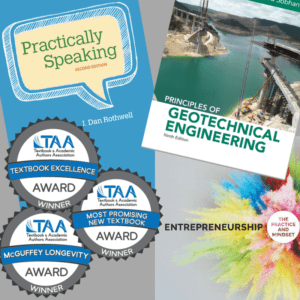 We are excited to open nominations for the Textbook Excellence Award (“Texty”), McGuffey Longevity Award (“McGuffey”) and Most Promising New Textbook Award now through December 1, 2015. 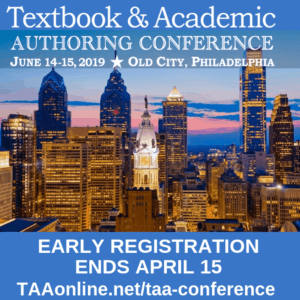 Receiving a textbook award from TAA is not only a great honor, it can also be used to increase book sales and advance your writing career. Posting the Texty logo in several places on their challenging behavior websites. Sending a press release announcing the award to the National Association for the Education of Young Children (NAEYC). The NAEYC included information about the award in its catalog, newsletter, and journal, and also purchased Texty seals to put on the books they sell. Asking their editors to notify sales reps about the award. Chuck Corbin, whose physical fitness textbooks have won both TAA Textbook Excellence Awards and a McGuffey Longevity Award, added the awards to his curriculum vitae. He also included the award in his website bio and plans to mention it in the prefaces of future editions of each book. Corbin also notified his university and local newspapers in order to publicize the award to students, faculty, and the community. 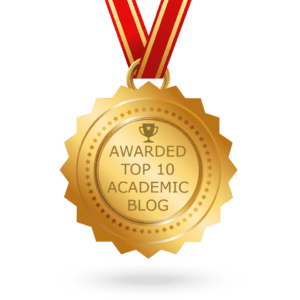 Both Rasminsky and Corbin also recommend including information about the award on conference presentation slides and handouts. Eric Schulz, coauthor of Calculus, which won a 2011 TAA Textbook Excellence Award, encouraged his publisher to promote the award as much as possible. Pearson posted an announcement about the award on Facebook and included information about it in their literature. Schulz also let Wolfram, the technology company that makes the unique software used to create the e-book version of Calculus, know about the award. 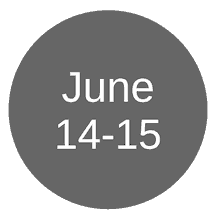 Wolfram published a press release on their blog. Like Corbin, Schulz also worked with his university to spread the word to his local academic community.